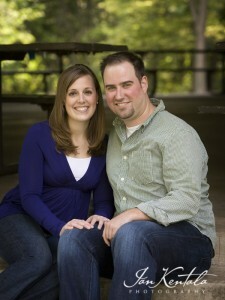 Alexa and I met during my senior year of college at the University of Minnesota. We were both in the student journalism group, the Society of Professional Journalists, at the U. Almost immediately, we became friends. Even after graduation and her moving to Iowa (then coming back! ), we stayed close. She even served as one of my bridesmaids at my wedding last spring. Alexa met Ben shortly after she moved back from Iowa. A mutual work friend at KSTP (where Ben currently works and Alexa held a job during school) invited them both to a picnic where they quickly hit it off. A group-lunch-turned-first-date was in the works a few weeks later and then, as they say, the rest is history… The two have been inseparable ever sense. So it was no surprise when they got engaged on a trip to Las Vegas in March 2009. (Side note: Alexa, Ben, Joe and I had dinner together a few days before they left for Vegas. During dinner, as soon as Alexa went to the bathroom, Ben confided that they were getting engaged on the trip. It was pretty hard for me to keep that secret from her!) Almost immediately after, Alexa contacted us to get her wedding date on the calendar. Alexa and Ben chose a park near Lake Harriet for their engagement pictures–the park where they first met during that picnic. 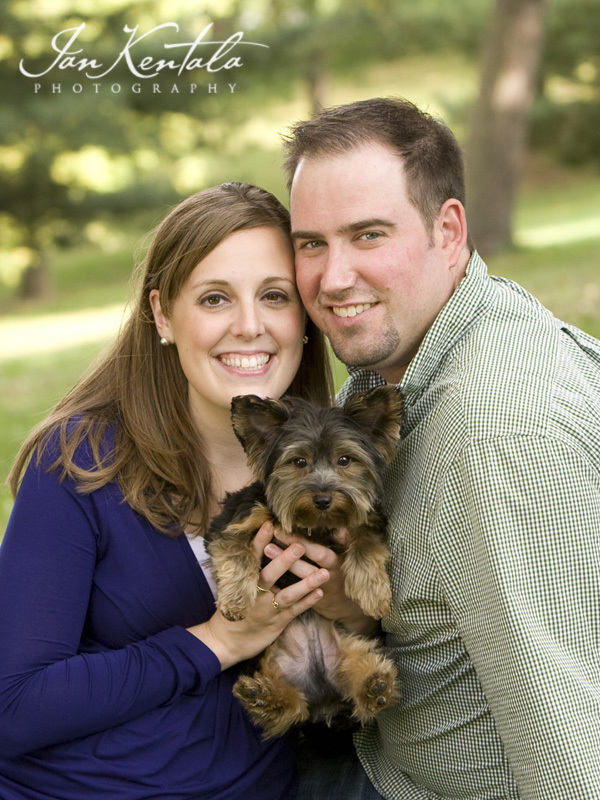 They brought along their Yorkshire Terrier, Cooper, to be in some of the photos. (He is an honorary groomsman, after all!) You can see their love for each other in the photos; it practically beams off of their faces. 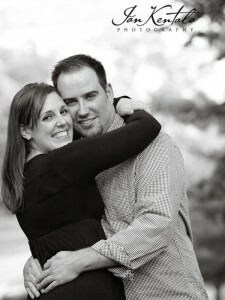 I’m so happy for the two of them and can’t wait to photograph their wedding in June 2010! Congratulations, Alexa & Ben! I love these photos! Ben and I keep receiving so many compliments about them. 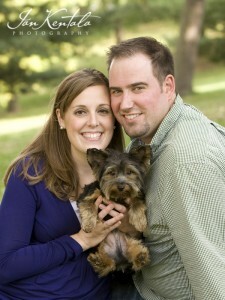 I can’t wait to see the whole bunch, and this makes me even more excited for our wedding.